Cowan joined UCLA shortly after budget cuts had gutted the undergraduate program at the nursing school. During the next decade, she determinedly rebuilt the school into a research powerhouse and persuaded the University of California to reopen the bachelor's program and launch a new master's program to combat the statewide nursing shortage. A few months before her death, the American Academy of Nursing presented Cowan with its prestigious Living Legend award, honoring her as an extraordinary role model within the profession and spotlighting her 46-year career as an influential pioneer of nursing research. "Marie Cowan was a dynamo who loved UCLA and the School of Nursing," said Dr. Gerald S. Levey, dean of the David Geffen School of Medicine at UCLA and vice chancellor for medical sciences. "She was fearless about thinking outside the box, identifying what was best for UCLA and her school, and creating strategies to move purposefully forward." Born Marie Jeanette Johnson on July 20, 1938, in Albuquerque, N.M., Cowan met her future husband, Samuel Joseph Cowan, in Munich, Germany, while both were in their first year of college at a University of Maryland exchange program. When he later pursued his engineering studies at the University of California, Berkeley, she obtained her nursing diploma in San Francisco. The couple wed in 1961, on the day after her graduation from Mary's Help Nursing School; they were married for 46 years. Cowan continued her education at the University of Washington, where she earned a bachelor's in nursing, a master's in physiology and biophysics, and a doctorate in pathology, physiology and biophysics. She launched her academic career in 1972 as an assistant professor at Seattle University's nursing school, then joined the nursing and medical schools of the University of Washington in 1979. Holding a rare triple appointment in the departments of nursing, pathology and cardiology, Cowan rose from assistant professor to the rank of full professor in all three fields. Her mentoring talent blossomed when she was appointed dean of nursing research. She encouraged faculty to attend "modeling parties" — line-by-line peer evaluations of their grant proposals — in order to increase the likelihood of funding. Her hands-on efforts boosted funding so measurably that other schools hired her to teach them how to create similar programs. She continued the tradition at UCLA, transforming the nursing school's culture into one where funded research was a priority. Cowan read every grant proposal and would arrive at meetings with her copy's margins scrawled with questions. Sometimes, she'd closet herself in a researcher's office for hours and help hammer out their grant details until late at night. "When Marie came, she sat down with every faculty member and would say, 'Let's map out your research trajectory. What are you going to do for the next five years?'" said Mary Woo, UCLA professor of nursing. "At a lot of schools, assistant professors teach the classes no one else wants. But Marie protected her junior faculty. She wanted them to start their research programs and actually decreased their teaching workloads." 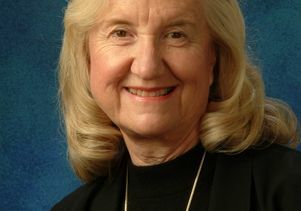 Former UCLA professor Kathleen Dracup credits Cowan's tutelage for influencing her current career as dean of the UC San Francisco School of Nursing. "Marie was an extraordinary person — a brilliant nurse, scientist, administrator, mentor and loyal friend to the many colleagues she developed along the way," she said. Cowan developed a reputation as a gutsy leader with innovative ideas and a knack for building faculty consensus to translate them into reality. She doubled UCLA's nursing faculty by recruiting 22 prominent new researchers, developed the first University of California online degree program in nursing administration, established a bioscience curriculum for the doctoral nursing degree and restored UCLA's reputation as one of the top 10 nursing schools in the nation. "Dr. Marie Cowan's contributions to nursing research culminated with her role as the dean who restored the UCLA School of Nursing to its status as a top-ranked nursing school," said Nancy Woods, dean of the University of Washington School of Nursing, where Cowan completed her training. "Her efforts to develop a new generation of professors dedicated to being scholars as well as clinicians and educators made UCLA a leader in nursing research." As California's nursing pool shrunk, Cowan lobbied fiercely to increase degree programs at the university level. Community and state colleges trained only half of the nurses required to meet California's growing demand — the state has the worst ratio of nurses to patients in the nation. In 2006, UCLA reinstated the first University of California undergraduate nursing program, generating 1,700 applications for 50 slots in the first two years. Cowan also worked with faculty to design an entry-level master's program to train an additional 50 students with bachelor's degrees from other fields. Some 520 people applied in the first two years. The two new programs will double the school's enrollment when they reach full capacity in 2009. "Marie understood all of the issues behind the nursing shortage and was very vocal — on campus, to the Office of the President and state policymakers — about the need for these new programs to be offered by the University of California," said Kay Baker, associate dean of student affairs at the UCLA School of Nursing from 1995 to 2006. On a national scale, Cowan set the agenda for nursing research by serving on the first National Institutes of Health peer-review group for her profession. As chair of the cardiovascular nursing council of the American Heart Association, Cowan also helped alter bylaws to enable nurses to apply for research funding and serve on peer-review and grant award committees. Funded by the NIH since 1977, Cowan's own research focused on cardiovascular science. She published more than 110 articles in peer-reviewed journals and won dozens of professional awards. Her studies explored the use of electrocardiograms to measure the size of a heart attack, examined heart-rate variability, and evaluated whether behavioral therapy would reduce the risk of future heart attacks and death in patients suffering from depression following cardiac arrest. She had planned to step down as dean in June for a one-year sabbatical, then return to the nursing school to teach, mentor faculty and pursue her research. Despite her illness, she continued to work on campus until a few days before her death. "Marie leaves a rich legacy through which her vision, innovation, leadership and commitment to public health will live on," said UCLA Chancellor Gene Block. "We mourn UCLA's loss of a beloved teacher, mentor, leader, colleague and friend." In addition to her husband, Cowan is survived by her son S. Joseph Cowan Jr. of Longmont, Colo.; her daughters, Kathryn Harris of Lynnwood, Wash., and Michelle Schaffner of San Luis Obispo, Calif.; her sister Dee Herrman of Albuquerque, N.M.; her brothers Jim Johnson of Anthony, Texas, and Fr. Jerry Johnson of Belen, N.M.; and five grandchildren. Memorial services will be held at St. Martin of Tours Catholic Church, 11955 Sunset Blvd., Los Angeles. The rosary will be said March 7 at 7:45 p.m., and Cowan's brother Jerry will lead the funeral mass the next day at 11 a.m. In lieu of flowers, the family requests donations (payable to The UCLA Foundation) to the Dean Marie J. Cowan Endowed Scholarship Fund, c/o the UCLA School of Nursing, Box 951702, Los Angeles, Calif. 90095-1407.